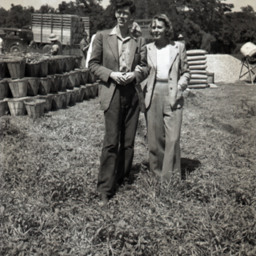 Photograph showing an unidentified man and woman at a peach farm. Bushels of peaches and a pike of seed can be seen in the background. The location of the photograph is unknown. 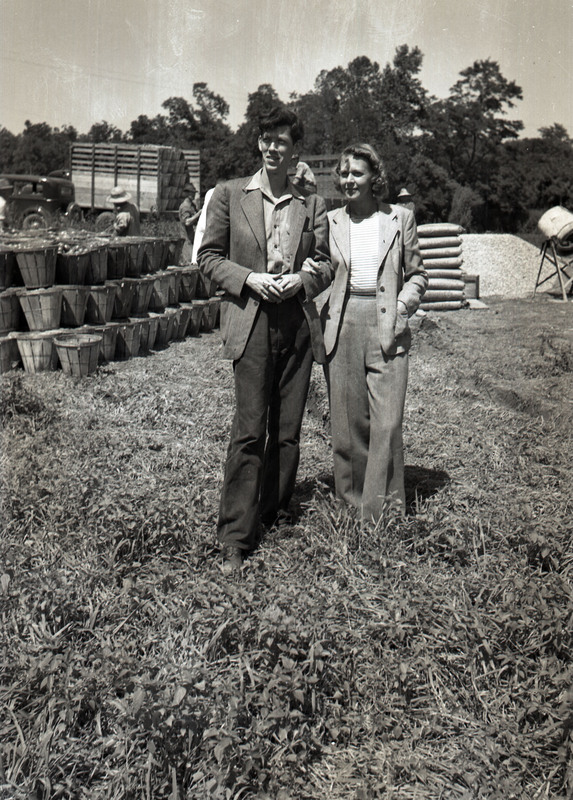 Unknown, “Man and Woman with Peaches,” Shenandoah County Library Archives, accessed April 24, 2019, http://archives.countylib.org/items/show/12126.